This website is owned and operated by Clark Family Pty Ltd t/as BluesCorp. BluesCorp was formed in 2010 by Guitarist/Singer/Songwriter Andrew Clark, collaborating the talents of 100 years of musical experience and a wide audience appeal across all demographics. The band's live repertoire, like it’s recorded material, is a treasure trove of traditional blues and dance tunes infused with a bit of funk here and there, some jazz and a solid sprinkling of the bands own infectious original tunes. BluesCorp may be the perfect backdrop for your next event - guaranteed to get your patrons up, dancing and having the time of their lives! To book BluesCorp for your next event please contact us with your requirements, and we would be happy to discuss our suitability for your specific needs and budget! 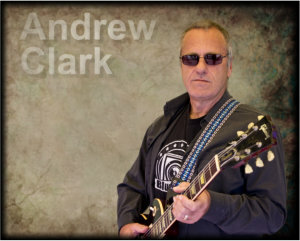 Andrew Clark began his journey into music around age 10 on piano and developed a passion for bass guitar in his teens. On finishing school in Sydney he postponed university to explore music-full time as a bass guitarist, his first band being a 1977 project with blues guitarist Andrew Silver (Dynamic Hepnotics) and singer Barrington Davis. Later in the same year, Andrew siezed an opportunity to join touring show band Pepper', which ultimatey saw him settle in Brisbane in 1978. Andrew played with Brisbane-based rock covers bands 'Transition' and 'Restoration' before forming 'The Australian Flight Band' (AFB) with guitarist/singer Kevin Kelly, a band that would see Andrew taking on some singing and songwriting duties. After 3 years performing extensively around SE Qld and Northern NSW with AFB, Andrew took a 30 year break from live performance in favour of a more dependable source of income in the Financial Services Industry. Although he continued to write music during this time, it wasn't until 2008 with the encouragement of his family and under the guidance of the late Wiley Reed that Andrew returned to live performance, this time playing lead guitar and taking on the lead vocal role. Andrew formed BluesCorp in 2010 and his trademark warm, earthy guitar tones, combined with his intimate and emotive vocal deliveries are the heart and soul of the BluesCorp sound. The harmonica is a key element of the music of many famous blues bands, past and present. 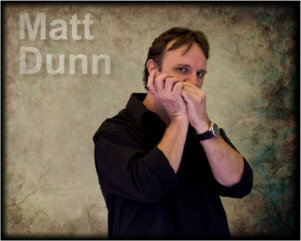 Matt Dunn takes both classic and modern blues harmonica styles in his stride, thrilling audiences with powerful and emotion packed performances and putting his unique stamp on the Bluescorp sound. Including a lengthy tenure with Tin Roof Hustlers, Matt has worked with some iconic local artists including dual Chain Award winner Cath Butler (Cath Butler’s Joynt Venture), Doug Ford (of Masters Apprentices fame) and Dan Hannaford, and has shared the stage with heavyweights like Ewan McKenzie, Mojo Webb, and PJ O'Brien. Matt's many festival performances include playing at the Australian Blues Festival, Blues On Broadbeach, and Mitchell Creek Rock N Blues Festival in the BluesCorp line-up. In the studio Matt has contributed to albums by various local rock and blues artists and of course appears on the latest BluesCorp album 'Don't Wanna Be Famous'. 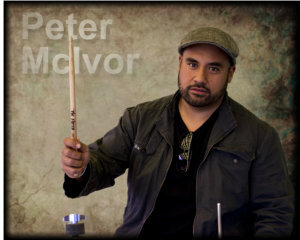 Peter has been involved in music since 4 years of age. Having studied a Bachelor of Music through Southern Cross University, Peter has worked with many acts ranging from cover bands, show bands and musicals. He has supported the Choir Boys, 1927, Rick Price and many gospel artists. He has also toured with various bands both around Australia and internationally throughout South Africa and South East Asia. Peter joined BluesCorp in 2014 and now provides the solid rhythms that drive the infectious BluesCorp grooves. Andrew started playing Bass Guitar at 14. At 18, he got serious about developing a music career and landed a contract at World Expo '88 as a musician and general entertainer. He played at various venues around the World Expo site while also playing shows in Brisbane, South East Queensland and Northern NSW music circuits. Andrew's World Expo '88 band "The Fritz" continued on after the completion of Expo picking up a full-time contract at Contiki Whitsunday Resort on Long Island. Andrew moved to Canberra in 1996 and over a fifteen year period, played with local bands Hot Property, Toucan, Agent 86, The Cool, Naked, The New Black and popular Canberra rock outfit Night Train, whilst working full time as the Bass Section and Band and Orchestral Manager for Better Music. 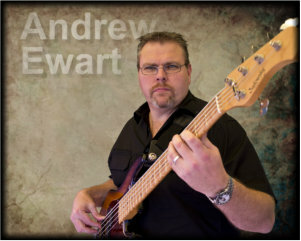 Andrew has since relocated back to the Gold Coast and is very active in the live music scene. Having joined BluesCorp in 2013, Andrew's superb touch and dexterity make up the glue that seamlessly binds the BluesCorp frontline to the infectious grooves of the rhythm section.